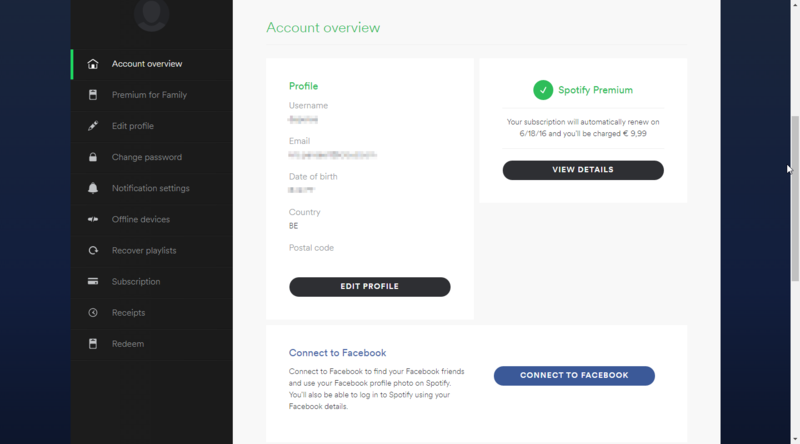 Click on the Binary link and download your key as a binary file (by default: spotify_appkey.key) Note: to get the application key you will need to have a Spotify Premium account. Run Multi Room Audio Player and go to Tools-Settings, open Spotify tab. 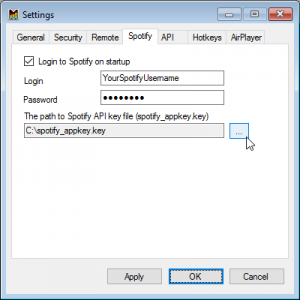 Please enter your Spotify username, password and path to saved application key. 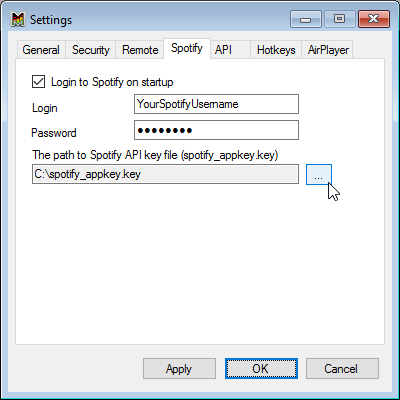 If you want login to Spotify automatically on startup, please enable corresponding check box. Press OK to save settings. Your password will be encrypted and stored locally only. Now you can create Spotify player. On the Spotify player press Login button and you will see all your saved playlists in the list box below. Please choose the desired playlist using the mouse. You can select any playlist’s track from the right list box by double click. And of course, use the Search text box to find any song or band on Spotify music service. 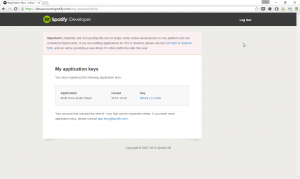 The libspotify key generation and retrieval service has been deprecated, along with libspotify. What can i do to play spotify? You are right. Unfortunately, it deprecated and I know no ways to get Spotify audio stream in any application 🙁 But it works, and you can try to ask someone for the key. 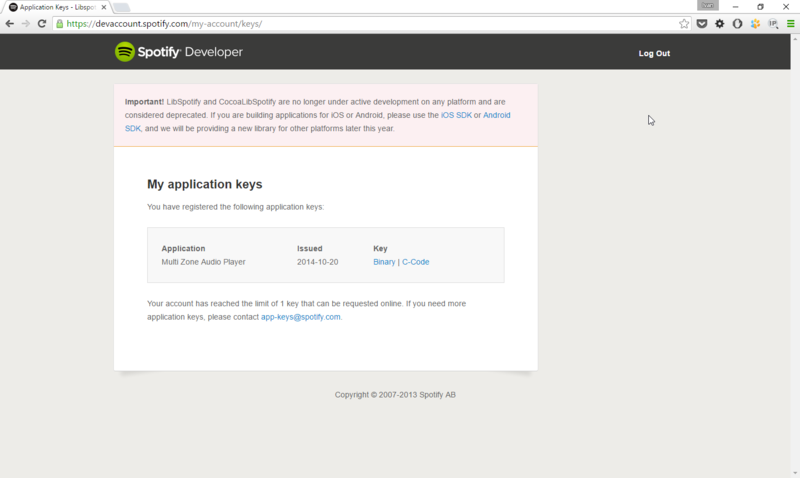 I hope Spotify will give developer access again. Thank you.